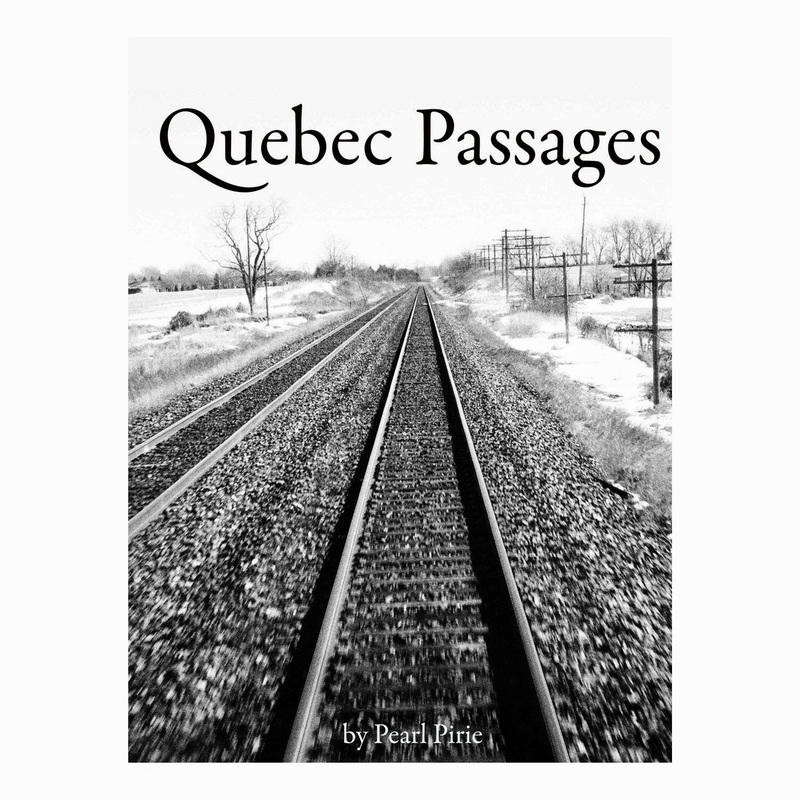 Existing as something between the chapbook and the trade collection is Ottawa poet, publisher and blogger Pearl Pirie’s Quebec Passages, a self-published follow-up to an earlier collection of self-described “train poems,” between stations (Obvious Epiphanies Press, 2011). The author of numerous chapbooks and two trade poetry collections—been shed bore (Chaudiere Books, 2010) and Thirsts(Snare Books, 2011), winner the 2011 Robert Kroetsch Award for Innovative Poetry—Pirie is also the author of a forthcoming third trade collection, pet radish, shrunken, scheduled to appear with BookThug in Spring 2015. Part of the appeal of following Pirie’s work over the past few years has always been in not entirely knowing where her work might go next, shifting between narrative forms into more traditional engagements with haiku as well as more experimental forms of language and visual poetry, playing constantly with different shapes and possible sounds. Certainly, not all of her attempts have been successful, but those that are far outweigh the ones that aren’t, and through her curiosity, her work manages to accomplish a series of unexpected moments and startling, even jarring, images. The fact of her exploration and unevenness reminds me about what jwcurry once suggested about the late Toronto poet bpNichol, that he wasn’t a great poet because everything he wrote or published was great, but that he was willing to try everything. Simply for the fact that he was fearless enough in his work that he was willing to fail; and through that, he managed to accomplish things in his work that hadn’t even been attempted before. not a drunk, with many a sniggering jest. crack-heads no off-meds. shoulders soften. nor cat pleading utterly cruelly starved. telemarketer. have we outrun the food chain? are we suspended mid-air. don’t look down. don’t open your eyes. feign grade 2 sick day sleep. in omens. or be susceptible to beauty.